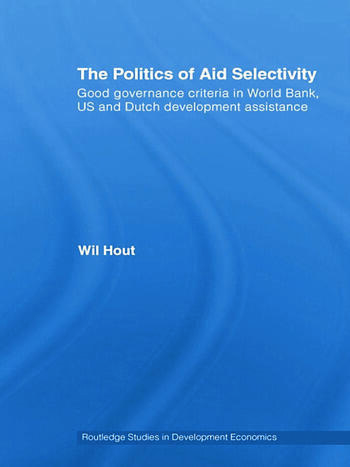 The first extended analysis of selectivity policies of important bilateral and multilateral aid donors, this book combines a policy-analytical with a quantitative-empirical approach. compares policy-making and different approaches to selectivity in the United Kingdom with those in developing countries. Critical and analytical in style, this book is, among other areas, an invaluable resource for students of various sub-fields of development studies and policy analysis as well as appealing to researchers and policy makers working in the area of foreign assistance across the globe. Wil Hout is an Associate Professor of World Development at the Institute of Social Studies in The Hague (The Netherlands) and currently serves as Dean of the Institute. He is the author of Capitalism and the Third World, co-editor (with Jean Grugel) of Regionalism Across the North-South Divide and co-editor of three Dutch-language volumes on issues of international relations and political science.